Jeremy Tucker is leaving the top marketing position at Nissan North American to “pursue other opportunities,” according to the automaker. A well-placed source says Tucker, who was vice president, Nissan marketing communications and media, was fired. However, Tucker describes it as a "mutually agreeable parting." Sales at the automaker have been lackluster and there has been some discontent among dealers about the brand’s lack of national advertising, according to another source. The automaker’s total calendar year 2018 U.S. sales were down 6.2% compared to the prior year. Nissan division sales were down 6.6%. Replacing Tucker effective April 1 is Allyson Witherspoon, currently general manager, global brand engagement, Nissan Motor Co., Ltd. who will return to North America from Japan for the position, which is based in Tennessee. 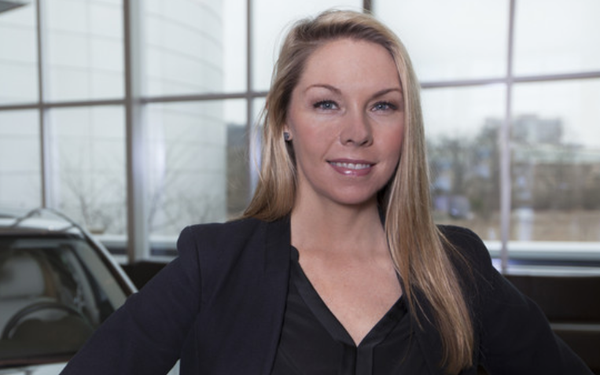 Witherspoon is the second woman to become the top marketer at Nissan North America. Janet Thompson was vice president of marketing at Nissan North America Inc., Nissan and Infiniti Divisions from June 2004 to September 2007. Tucker says he will stay on until later in April so there is a smooth transition for Witherspoon, who has been his global counterpart for Nissan marketing. Tucker notes that Witherspoon’s international experience will serve her well. While Nissan moved several other non-marketing executives around, Tucker is the only executive reported to be leaving the company. Tucker has been in the position for four years and seven months. He was instrumental in arranging for several high-profile deals between Nissan and Disney, including a well-received effort tying the Nissan Rogue to the "Star Wars" franchise. Previous to Nissan, Tucker spent two years at the Walt Disney Co. and seven years at PepsiCo. Witherspoon has been in her current position in Japan for two years. She has handled global marketing and creative strategy and validation of local marketing communications executed across seven global regions and 40 markets. Previous to Nissan, she spent three and a half years at Infiniti Motor Co., Nissan’s luxury division, lastly as director of marketing communications and media, and two and a half years at Havas Worldwide. She was also global business director for Volvo in Amsterdam. Witherspoon's previous positions at global marketing firms included direct support to a number of luxury automotive manufacturers including BMW North America and Mercedes-Benz USA. She spent most of her early career as an assistant vice president of Ansira, a marketing consultancy whose clients included American Honda Motor Co. in addition to Mercedes-Benz.